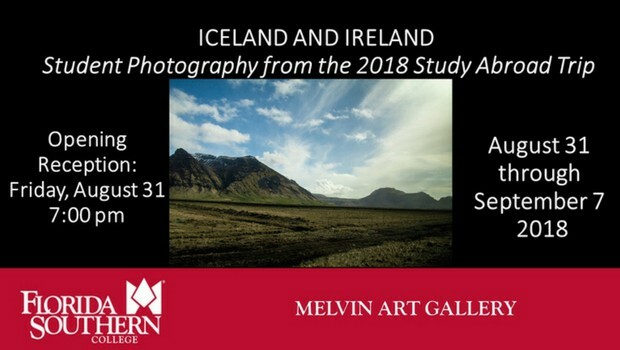 During the month of May, Florida Southern students embarked on a study-abroad trip to Iceland and Ireland. The photographs in this show, taken by students enrolled in advanced and beginning digital photography courses taught by trip leaders Eric Blackmore and Sam Romero, document their travels and unique cultural encounters. The selected images, including submissions by the faculty themselves, were then edited, refined, and printed by the students for this fascinating exhibition. Opening Reception: Friday, August 31 – 7:00 p.m.